Hello everyone, long time, no see! 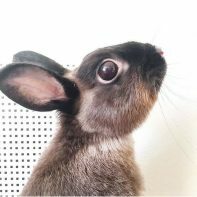 In case we haven’t already met, my name is Pancake and I’m the resident bunny blogger here at Handmade Charlotte. 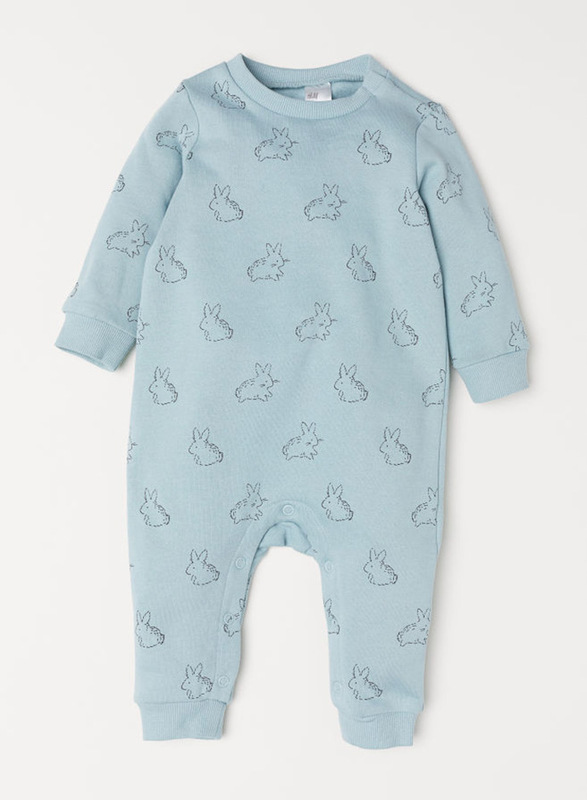 Today I’m super excited to be sharing a few of my favorite pieces of clothes that all feature bunnies! 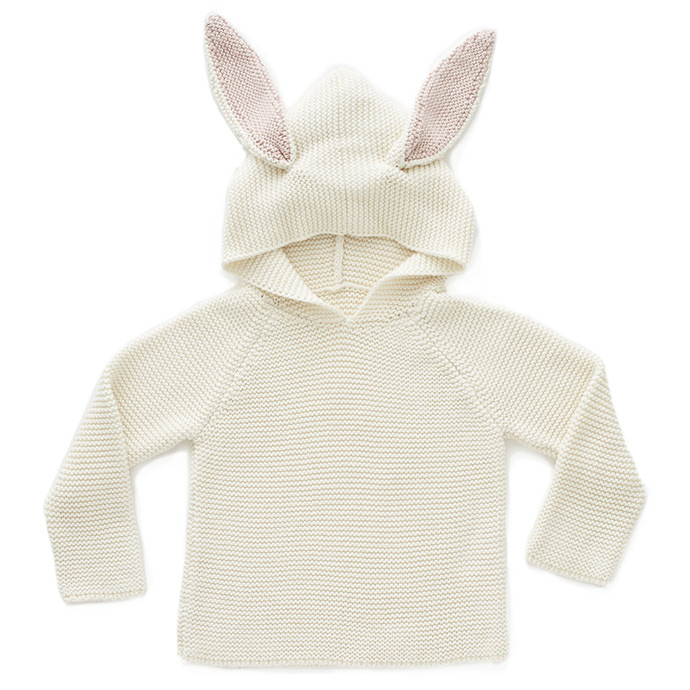 Kids can dress up just like a sweet little rabbit all year round, just take a look at everything below! Which one is your favorite? Let us know in the comments below! 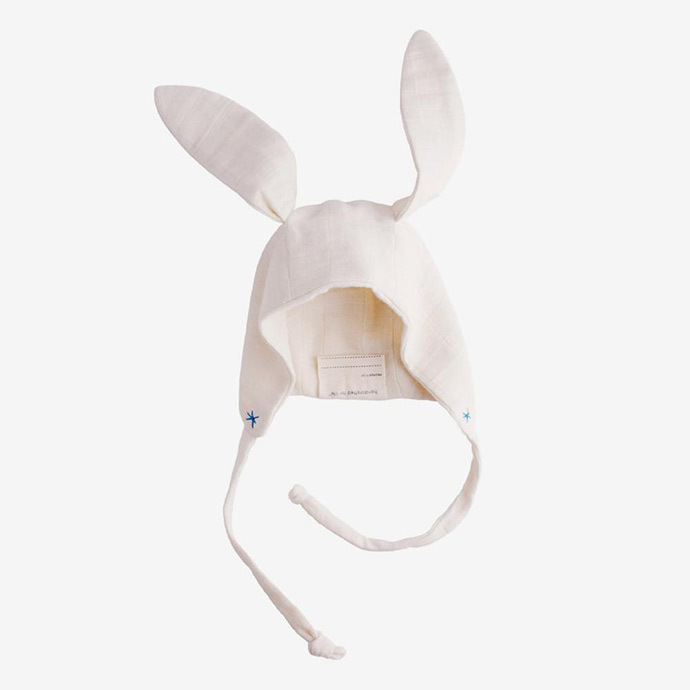 This sweet little cap is made of 100% organic cotton and embroidered by hand. Available in both pink and blue, designer Sarah Y. Lin works with fair trade organizations in India to produce these lovely hats. 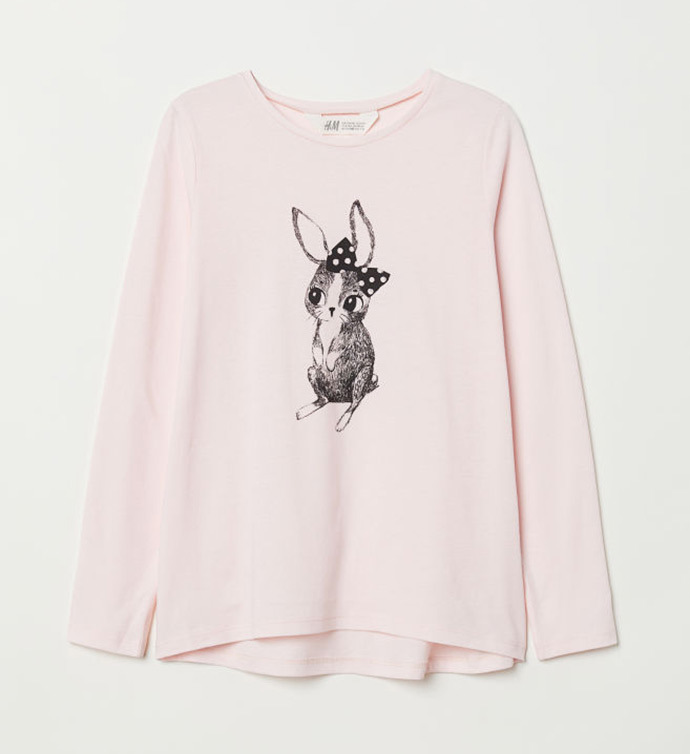 This bunny sure is sitting pretty on this pastel pink long-sleeved shirt. I wish I had a bow like that to wear! 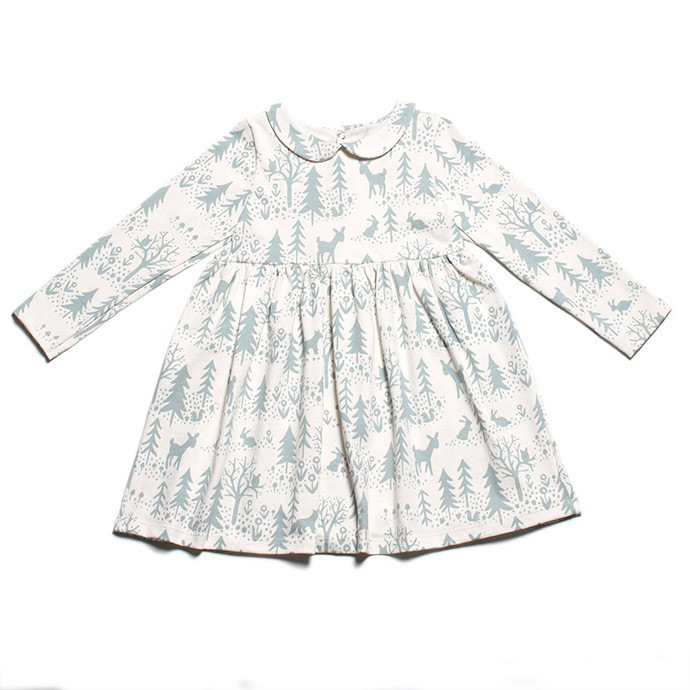 Get ready for bed with these sleepy blue pajamas. And speaking of bedtime, did you know that rabbits are crepuscular? That means we’re most active at dawn and dusk, and nap a lot through the day and night. Doesn’t this hoodie look cozy! This knit cotton hoodie was made in Peru and looks like the perfect sweater for the cooler months ahead. 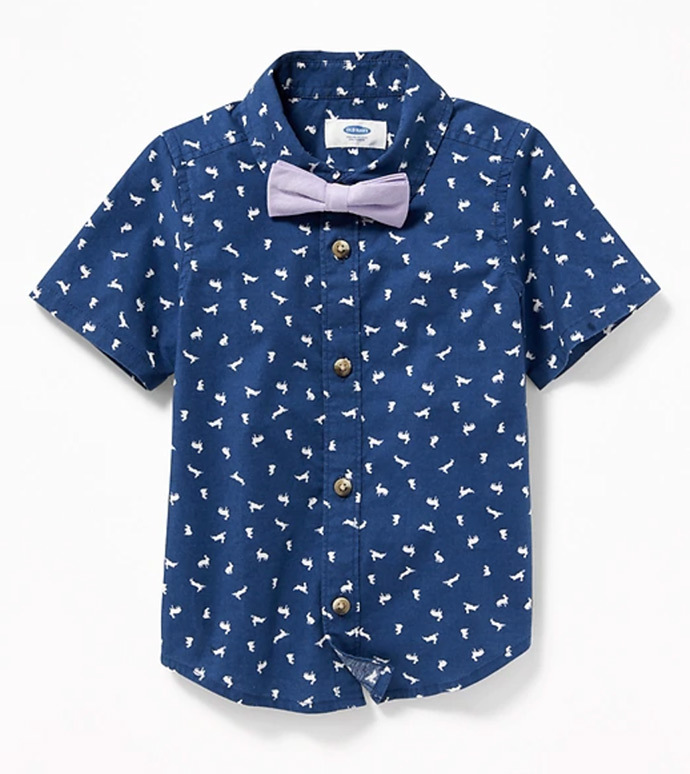 A lot of the bunny-themed clothes I found were pink and other pastels, but this shirt is perfect if you want something a little bit bolder. Most bunnies have fluffy pom pom tails, but this bunny might be the fluffiest one I’ve ever seen. 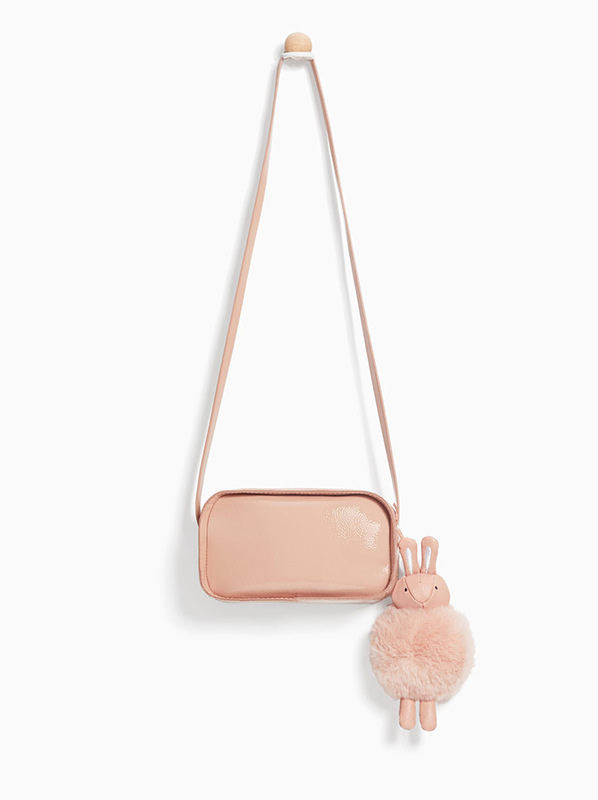 This purse looks perfect for storing all your little treasures, and maybe even a few carrots! Can you spot the bunnies frolicking around this winter scene? They look like they’re ready to go on an adventure! 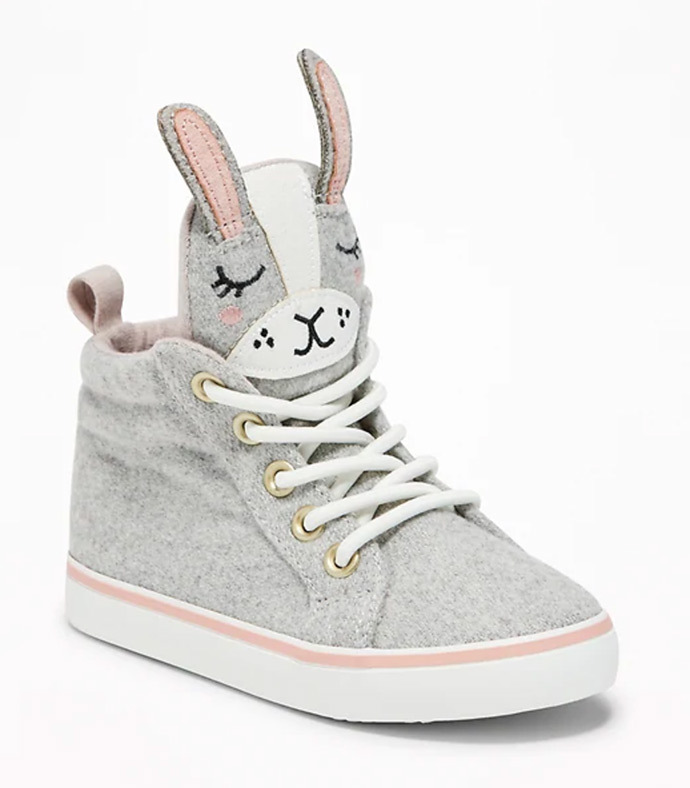 Most pet bunnies don’t go out on walks, but you’ll feel like you’ve got two buns with you when you wear these amazing sneakers! Another bright and colorful piece for all the color-lovers out there. 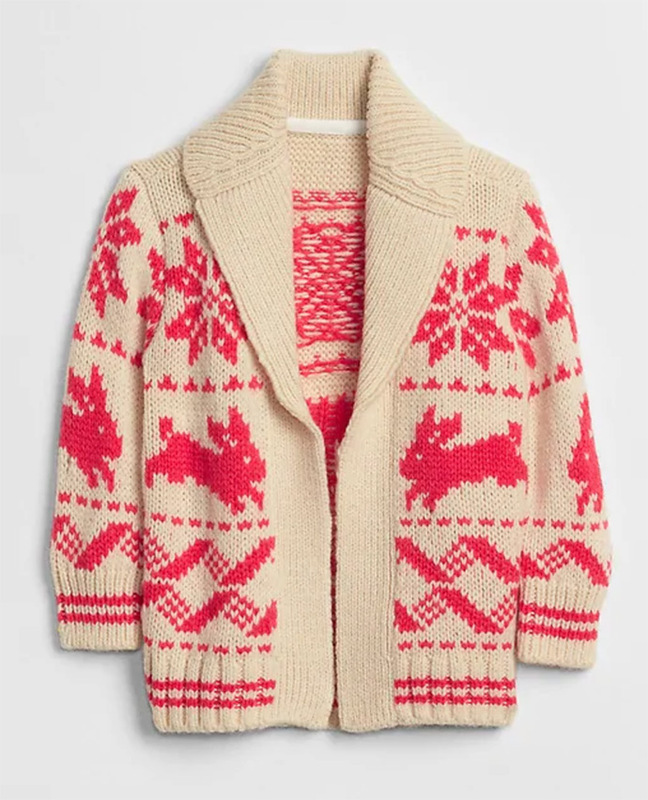 This cozy sweater looks like the perfect thing to wear this fall and winter. 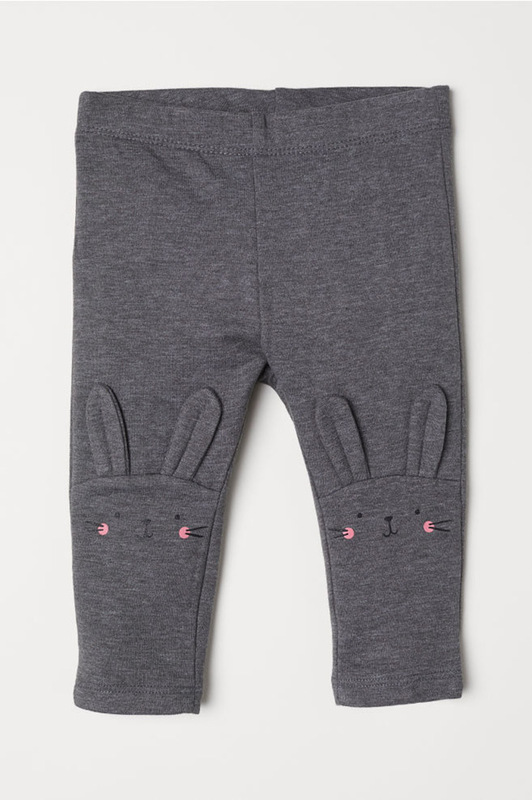 These grey bunnies are ready to join you on all your walks and adventures! 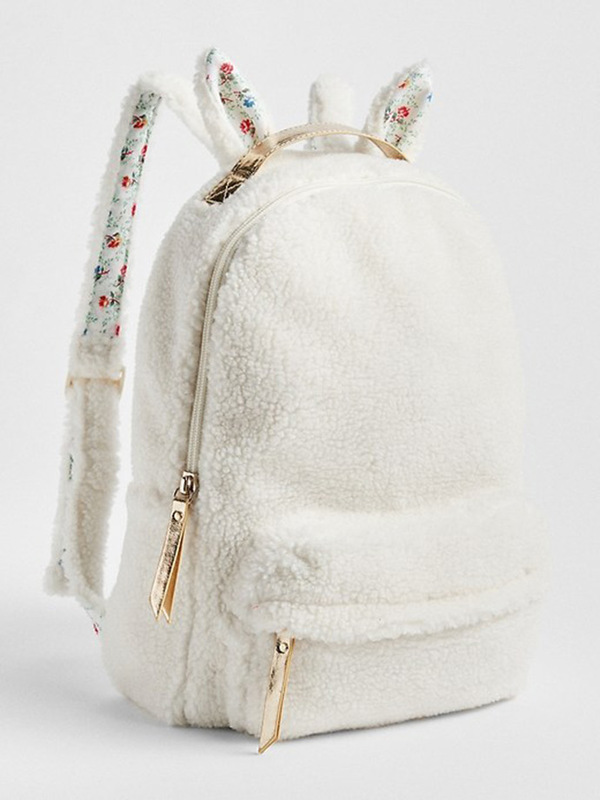 This backpack looks as soft as a rabbit! 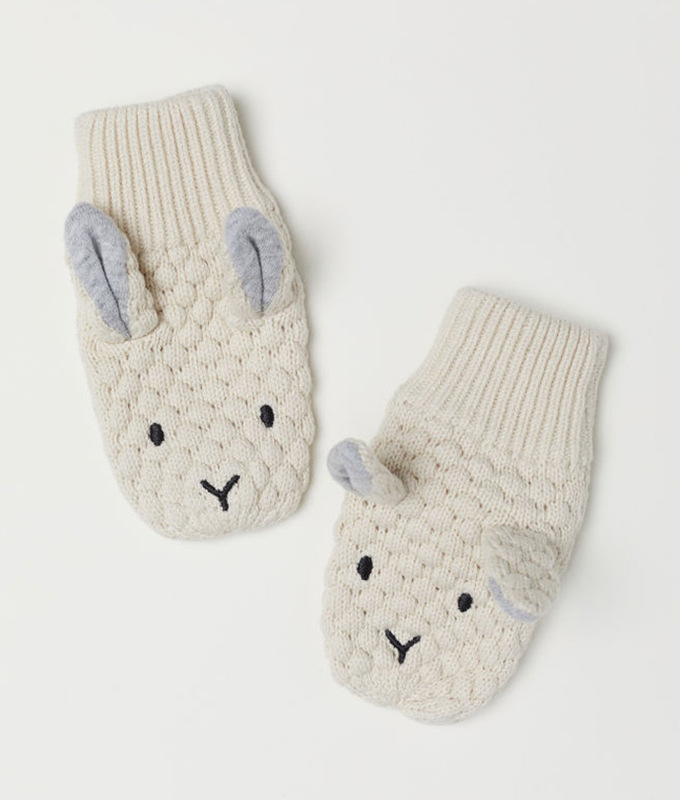 Not only will these bunny mittens keep your hands warm, but you can put on your own puppet show too! 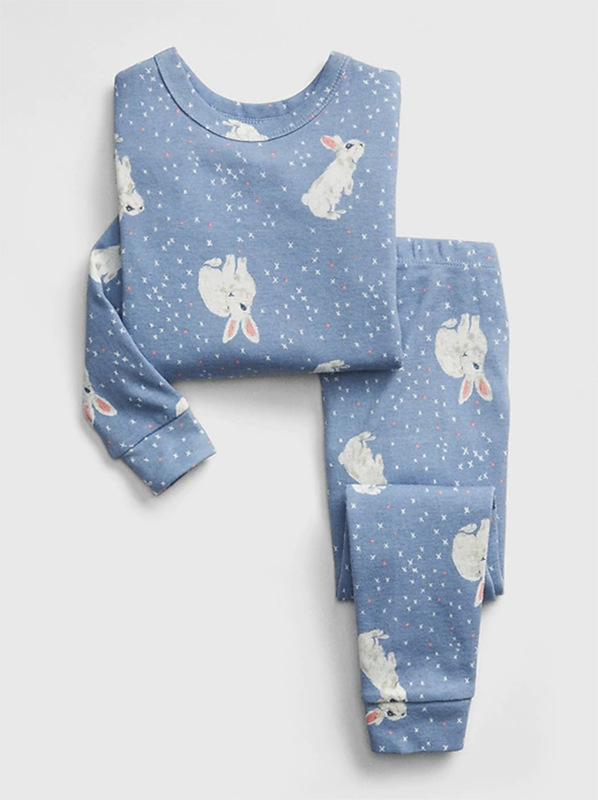 Carter’s has a super adorable bunny shirt with floral leggings set right now that I’m obsessed with! We got it for our daughter for her first day of preschool!